Interest only loans- What’s happening? Interest rates are a hot topic right now. Up until recent times, home loan rates were identical to investment loan rates It’s not as easy as it once was to apply for an interest only loan. Over the last few months lending for this type of loan has been tightened by the banks in an effort to slow the pace of record growth in investment home loans and encourage borrowers to start paying down their debt. Lenders are under pressure by APRA (the government regulatory body) to make it less attractive to borrow interest only loans, a strategy intended to protect investors and achieve sustainable growth in the home loan market. Lenders have responded to the crackdown in different ways. Some now ask for larger deposits for investor loans or have scraped discounts they previously offered. Others have begun to price loans with principle and interest repayments cheaper than interest only loans. Still others now offer better discounts on owner occupied loans or restrict investors to borrow less than owner occupiers. As these changes vary from lender to lender, it has been difficult for investors to know which way to turn. Many borrowers are worried about whether the changes affect their existing loans or what they should do when they make a change or try to restructure their loan. As your mortgage broker, we keep up to date with these industry changes and can assist you to assess the best options to suit your needs. Interest-only loans can be a tax-effective way to invest in property, but they are most effective when accompanied by advice and tax planning. Because the monthly repayments are minimal for a specified amount of time (usually between 1-5 years), it offers a method to free up funds in the short term for other investments, renovations or to pay off other non-tax-deductible debt. Problems may however arise when the interest only period ends and borrowers who haven’t planned their finances carefully are unable to pay off the increased instalments, now including principle along with the interest. Another drawback is that because you are only paying off interest, your original loan amount doesn’t reduce, which equates to a considerably higher cost over the full term of the loan. http://brickhill.com.au/wp-content/uploads/2017/08/interest-only-loans.jpg 490 872 admin http://brickhill.com.au/wp-content/uploads/2017/03/brickhill-340-x-156.png admin2017-08-27 20:19:132017-08-27 20:19:13Interest only loans- What’s happening? If you are a first-time homeowner, or are purchasing a home after a major life change such as marriage or having children, what should you consider to be sure your new home can grow with your changing family? The time and effort that go into purchasing and decorating a new home, not to mention finding it in the first place, means that you’ll want to ensure that your home will be right for you and your family for years to come. So, what should you look for in your new home so that it will give you enjoyment and be functional both now and in the future? Special features of a home, such as an outdoor room, central air, and a large garden can make your home a more functional and enjoyable space, especially if you have or are considering starting a family in the near future. You may also want to consider the age of the home you purchase and its features or appliances, as this may lead to future costs that may put stress on your financial situation at a time when one spouse may be at home caring for the children. 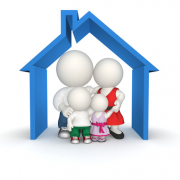 Location is also an important consideration when choosing a home that can grow with your family. Choosing a safe neighbourhood is always an important point when selecting a family home, but you will also want to consider the proximity of good schools, community centres, and shopping. Also, facilities such as parks and libraries can make a neighbourhood truly a great place for families. You may also want to consider the demographics of the area in which you are purchasing in order to be sure it is a match with your values. If you apply for a home loan, particularly if the loan is for more than 80 per cent of a property’s value, you’ll more than likely have to prove to lenders that you have a satisfactory amount of savings. This is to demonstrate your ability to funnel a portion of your income into repayments. Guarantor loans – Having a guarantor on your loan may mean that no deposit is required, with the equity or asset the guarantor stakes standing in for a deposit. 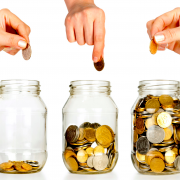 Other significant assets such as shares, managed funds and/or equity in residential property – Depending on your chosen lender, cash isn’t the only thing accepted as genuine savings. There are even situations where the sale of a vehicle can be considered as genuine savings if proved that it was owned for three months or more. A strong rental record may see a lender allow you to forgo the genuine savings route – Some lenders will waive the requirements if a letter can be produced from a licensed real estate agent confirming that rent has been paid on time and in full for the preceding 12 months, as it highlights your ability to make repayments on time and on an ongoing basis. http://brickhill.com.au/wp-content/uploads/2017/08/genuine-savings-e1502627363772.png 669 1000 admin http://brickhill.com.au/wp-content/uploads/2017/03/brickhill-340-x-156.png admin2017-08-13 22:29:542017-08-13 22:29:54What counts as genuine savings in a loan application? 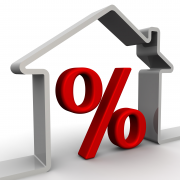 Are you prepared for an interest rate rise? While Aussie mortgage holders have enjoyed low interest rates for several years now, the party might soon be over. 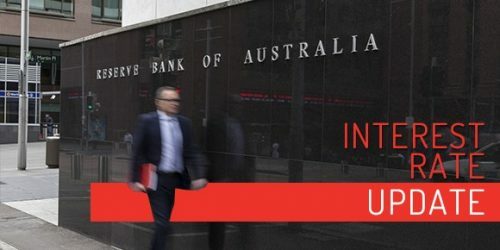 The Reserve Bank of Australia revealed in the July minutes of its monetary policy meeting that it considered the neutral cash rate to be 3.5%, a two-percentage point increase over the current record low cash rate of 1.5%. This means Australians should potentially brace themselves for rate hikes soon. Ask yourself how many rate rises would impact your money goals such as renovations and holidays. Online calculators can help you crunch the numbers. 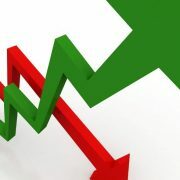 If your home loan isn’t charging a competitive rate now, you’ll be left even more out of pocket if rates climb higher. It’s worth thinking about locking in a fixed-rate loan. Look for a fixed loan that allows extra repayments so you can reduce the balance sooner. Making extra repayments or paying a lump sum while rates are still low, helps pay off the loan sooner and minimises the impact of possible future rate rises. Loans with offset or redraw facilities also provide you the peace of mind to access that extra money, if you need. If interest rates head north, expect to pay more on personal loans and credit cards. If you have an outstanding credit card balance, try chiselling away at the debt today. http://brickhill.com.au/wp-content/uploads/2017/08/percentage-e1502020417538.png 800 1000 admin http://brickhill.com.au/wp-content/uploads/2017/03/brickhill-340-x-156.png admin2017-08-06 21:56:472017-08-06 21:56:47Are you prepared for an interest rate rise? Simply put, over capitalisation is when the cost of a home improvement is more than the value it adds to your property. While some renovations can increase the value of your home, there is an upper limit on what properties are worth at any given time. Many homeowners undertake a home renovation for emotional reasons. Very often they fall ‘in love’ with the property. This emotional issue applies to both home owners and investors. Unfortunately, it is important to recognise that most suburbs have a median sale price and an upper sale threshold specific to your suburb. Even different streets in your suburb have different price thresholds; that’s because your neighbour’s houses and the general streetscape have considerable influence on the value of homes in your street. Before renovating it is important to consider the housing styles, demographics of your suburb, and sale prices achieved of other homes in the area that have recently sold. This is one of the biggest mistakes that homeowners make when renovating their homes. Homeowners typically under-estimate the costs involved in building. Such as; demolition costs, professional fees, contingencies for variations, foundation changes due to soil conditions, fit-out and landscaping, kitchens and bathrooms, escalation of building costs and delay and acceleration costs to finish the project on time. Property owners who decide to employ a builder to undertake home extensions also encounter problems because they have not undertaken sufficient research on the experience of the builder, and their past record in undertaking renovations. Especially their “variation claims” history, often Builders locks unsuspecting homeowners into building contracts which cost homeowners thousands in variation costs. Another common mistake is to let the Builder provide the design, and therefore restrict the homeowner from getting competitive quotations upon the Builders design. Some people also make the mistake of trying to undertake home renovations themselves. This can prove costly in time and is financially unwise because a poor standard of work will only devalue the property. Character homes in particular require a higher standard of renovation work and you may need to carefully select tradesmen with past experience in this area to ensure that the work is properly completed. Always seek competent, professional advice and trades people before undertaking a major renovation. A common problem is that home renovators do not operate within a strict budget and are unable to complete planned renovations because of a lack of money. This mistake results in homeowners financially overextending themselves through a lack of financial planning. The “Catch 22” is that renovators often can’t then sell their ‘half completed’ renovation and end up in severe financial hardship. A very common problem is that home renovators end up spending too much on a poor functional layout because of the limitations of the existing building. In many cases the homeowner would have been better off, to have demolished the existing house and start all over again. Another common problem is where the style of the renovation is inconsistent with the rest of the house; you’ll often see houses for sale with a modern extension that clash with the rest of the house which is still stuck in the 1970’s. These properties are “lemons” on the market and typically homeowners lose money on these renovations. If you are living in a $100,000 house you will not get a good return on an investment in a $35,000 bathroom. Swimming pools are a good example of additions to a property that often doesn’t add value. Many buyers do not want the work, expense, and potential for accidents that come with a pool. The general rule is that you should not spend more than 25 per cent of the value of your home on home improvement renovations. Undergoing a major renovation and living through it, is often overlooked by most homeowners. The disruption to your lifestyle, the mess, the noise and restrictions is something that should not be discounted. If you are having major renovation (especially if you are a family with young children) consider moving out and renting elsewhere during the construction phase. Before you make the decision to renovate or buy a new house, carefully ask yourself the following questions. 1. Decide what it is you are looking for in a final result and ask yourself if it will be cheaper to buy a different home or to renovate your old one. 2. What is the average selling price of homes in your area? 3. Will renovations alter the appearance of your home so that it appears out of place in the neighbourhood? Check the styles of other homes in the area. Keep in mind it might be a better idea to match or keep in step with the styles of other homes in the area. A poor design could devalue your home by thousands of dollars. 4. How much will renovations cost compared to what you paid for your home. What is the expected increase in value because of the renovations? 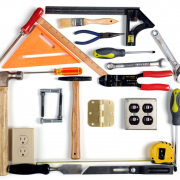 The decision to buy a new home or to renovate is not one to be taken lightly. It is recommended that you think through every aspect of the project prior to getting started. Seek the advice of a local professional architect/building designer as well as a real estate professional if necessary to determine how the proposed renovations will affect the value of your home. Despite being under pressure from tepid economic growth, weak inflation and a surging Australian dollar, the Reserve Bank has left interest rates unchanged at its August board meeting. The stance was all but universally expected, given RBA governor Philip Lowe made it clear last week that rates would not be moving for a considerable period of time. The market had priced in a zero possibility of a rate change into its calculations. The RBA last changed settings in August 2016, when it cut the official cash rate by 25 basis points to the current historic low of 1.5 per cent. While the RBA left its forecast for the Australian economy unchanged, it expressed a degree of anxiety about the impact a stronger Australian dollar is having on economic activity.